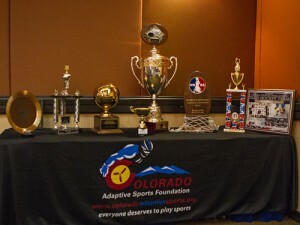 The Colorado Adaptive Sports Foundation (CASF) aims to bolster independence, improve self-confidence, elevate social interaction and enhance quality of life through organized team sports. CASF is for people of all ages throughout Colorado who have physical disabilities including spinal cord injuries, spina-bifida, amputations and cerebral palsy. CASF manages, promotes and raises funds for adaptive team sports across the state of Colorado, including wheelchair basketball, sled hockey, wheelchair softball, wheelchair lacrosse, adaptive curling and power soccer, representing over 200 adult and junior athletes. Providing these services allows the athletes and coaches for the teams represented by CASF to focus on learning, playing and teaching their respective sports. CASF was incorporated in 2010. It was initially conceived in 2004 under the name Colorado Wheelchair Sports (CWS), which was established through the efforts of local adaptive team sports program directors in an attempt to facilitate better communication and coordination between the teams. CWS was successful increasing fundraising, volunteerism and recruitment for those initial three sports. 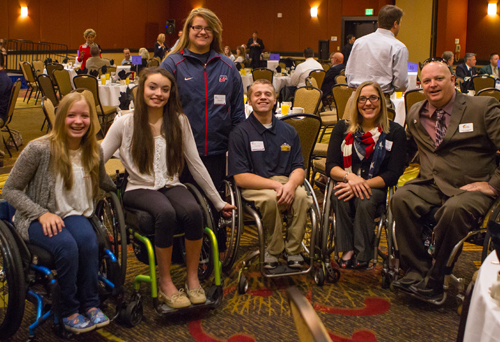 In 2010 the name was changed to the Colorado Adaptive Sports Foundation, a formal board of directors was established, and the reach of the organization was expanded to include wheelchair lacrosse, power soccer and adaptive curling. CASF athletes proudly represent the state of Colorado. Several CASF team members have gone on to play their sports at the highest international levels, competing for medals as members of Team USA at the Paralympic Games and other major international competitions. Learn more about our amazing athletes by visiting Our Athlete Biographies. The primary objective of the Athlete Advisory Council is to provide for representation from the Participating Organizations (PO) under CASF’s umbrella. Athletes, Directors and/or other members of each of the participating organizations come together on a regularly scheduled basis to communicate the interests and protect the rights of the athletes, in cooperative support of CASF achieving it mission. Corey Fairbanks has thirteen years of experience with adaptive sports administration. He has demonstrated his ability to successfully plan and develop organizations. 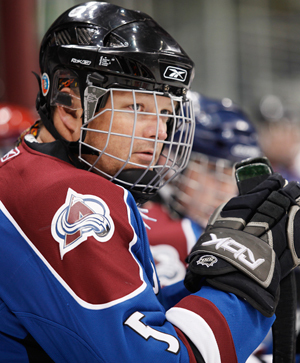 In 2001, Corey became the President of the Colorado Avalanche Sled Hockey team, where his responsibilities included program management, operations/administration, recruitment, communication, marketing, fundraising and financial management. Corey also developed the Western Sled Hockey League which became the model for other leagues around the country. 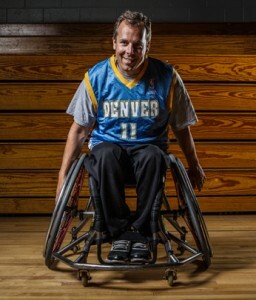 He was a founding member of Colorado Wheelchair Sports. He has demonstrated success in collaborating with other organizations that provide similar opportunities. Click here for Board of Director information.